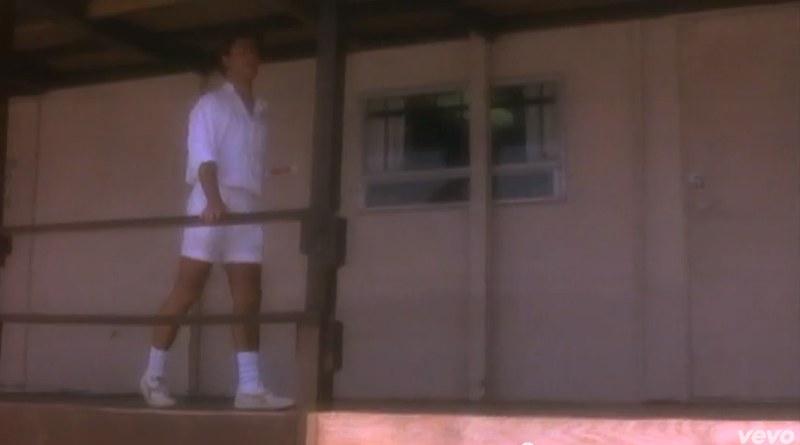 It goes without saying that George Michael’s videos reigned in the 80s. But one thing always bothered me about the video for “Careless Whisper”: how he almost fell off a balcony.Around halfway through the song, his girlfriend dumps him and flies away on a seaplane. This is hilarious, in hindsight, since it’s not a very common form of transportation in Miami but maybe her destination is only accessible through water. But I digress. The seaplane takes off, and at 3:18 George is in head-to-toe white walking along with his hand on a banister. As your eye travels to the right you notice, whoa, it’s completely open. I was three when this song came out and don’t remember the first time I saw this video. 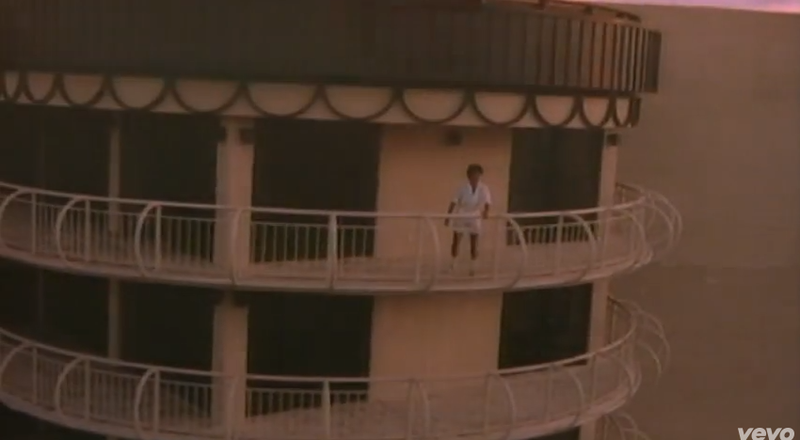 Since they filmed it in my native South Florida it’s part of that wonderful tapestry of 1980s Miami-ish videography. In my toddler-mind, my beloved George—who introduced me to the glories of neon—was about to fall off a building probably close to where I lived. This theory gains traction in the last scene as he walks around the balcony of a very tall building, in his tan-enhancing tennis whites. As I child I blended these scenes together and convinced myself that there was a gap in that balcony and it was only a matter of time before he fell. I caught the video yesterday in a beauty salon in Santiago, natch, and realized that these were two separate buildings. Moreover, it’s likely the first location is a dock of sorts related to the seaport he rushes to before his steady flies off. Maybe this wasn’t something worth blogging about. Nonetheless I feel incredibly relieved to have silenced that nagging feeling. And researching this video has turned up this delightful list of random facts. 1980s Aretha Franklin Beach Careless Whisper George Michael I Knew You Were Waiting For Me Miami Music Video Wake Me Up Before You Go Go Wham! That “balcony” that you’re referring to is actually on ground level and is part of Chalk’s, which was a seaplane service on Watson Island, Miami. Chalk’s was very popular in the 80’s before it disbanded in the 90’s. Cool! Thanks for the note, Bob. Watching the video now as an adult I can clearly see he’s at a loading dock of some sort but as a kid both scenes merged. Too bad Chalk’s is gone, it would’ve been cool to visit!